Good Lord! Can’t wait for this – looks like th Force IS strong w this One!! Preparing my Rogue One Post this weekend! Thank you very much. Though this Star Wars Rogue One trailer was perfect for my blogs 500th post. Can’t wait to see this movie! May the Force be with you! Congrats on 500! Star Wars will definitely be a fun way to close out the year. With the summer just about over, there aren’t a whole lot of films left that I’m planning on watching in the theaters. Dr. Strange and Star Wars will probably be the final two and both of them are looking to be fun titles! Congratulations on reaching 500! I just saw this trailer now and this looks exciting. It’s nice to see Darth Vader again. It’s going to be new to see a new cast of actors without any of the other key heroes. Thanks! Still can’t believe I’ve done 500 posts, the time has gone so quickly. 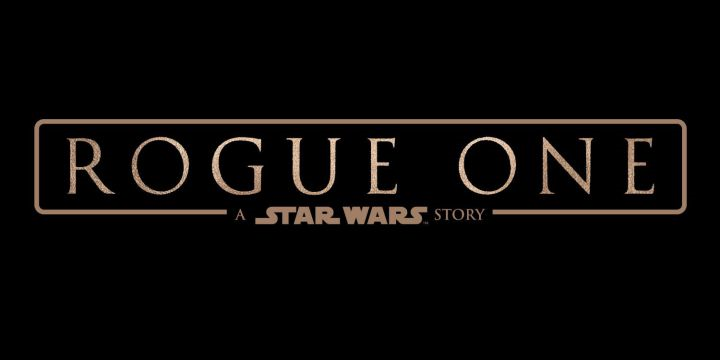 I think Rogue One will be a big hit and a worthy addition to the Star Wars universe as well. You worked hard on this one. I think I am about 300 articles here. Rogue One does look like it will sell well. I heard they careful chose the right actors for each character. I think Rogue One will be a good prequel story to the original Star Wars, it certainly has a good cast, and the effects look amazing. Bee exciting to see Darth Vader appear as well! I am excited to see Darth Vader. We haven’t seen him in the big screen since the old movies and Episode 3. Me too, will be awesome to see Darth Vader again! Yeah. I wonder if any of the original characters will appear as a cameo, like R2-D2 and C-3PO. I guess it’s possible, but I expect it’d only be possible if it didn’t affect continuity with the original films. True. Usually spinoffs like Star Wars are usually separate to the main story. There’s like multiple stories in the Star Wars universe. Exactly! I hear they’re going to do a Han Solo film. Yes, apparently so. Will be interesting to see how that works. Yeah I’m curious too. I don’t know if it’s true but I heard there was plans on doing a Chewbacca and Boba Fett film. Well, I guess if Rogue One does well, there is potential to explore more characters in solo films maybe? We shall have to wait and see. Yeah you might be right. Anything could happen. Maybe we could finally understand the character’s backstory and know more about them. There’s certainly a wealth of potential to explore. It could be possible. Who knows what could happen. As long as George Lucas allows it, we might see our favorite on the big screen. Trailer looks good. I’m hoping the movie lives up to its potential! Still have to see the new Star Trek–two coworkers say it’s great! Hey, Paul–congrats on your 500th post! I always enjoy checking out your blog! This might just be the best possible 500th post. Congratulations by the way. Rogue One keeps looking better and better. Cheers! Well it coincided with the Rogue One trailer, so it was just a lucky chance to make it my 500th post. So excited for Rogue One now, especially with that glimpse of Vader! The trailer for Rogue One looks immense and to see the likes of Darth Vader making a return is a huge draw for Star Wars fans. Can’t wait for Rogue One, this trailer looks amazing. Great to see Darth Vader as well! Trailer looks amazing and the tease for Darth Vader is the most exciting part about the film! Rogue One and then Episode 8 is coming soon!